We’re proud to offer bar insurance and restaurant insurance so that you can reduce your worries and focus on your customers. Most bar insurance, restaurant insurance, and nightclub insurance policies are comprised of four main components. Your business liability insurance is essential to the long-term success of your bar, restaurant, or nightclub. Individual liability policies are tailormade to suit your unique insurance needs so that you aren’t left having limited or, even worse, no coverage when you really need it. Any business that sells, serves or assists in the purchase or use of liquor is susceptible to a liability claim as a consequence of someone getting drunk to the extent that injuries or property damages occur. Liquor liability is a must for any restaurant, bar, nightclub, and tavern. An umbrella policy for restaurant insurance or bar insurance is designed to provide protection against catastrophic losses. It’s generally written over various liability policies, such as your commercial auto policy, commercial general liability policy, and employers liability coverage. A major part of bar insurance or restaurant insurance is covering your employees with workers’ compensation. Bartenders and wait staff are constantly moving fast trying to deal with customers. The chance of someone being injured in the course of your day-to-day business is high. Workers’ compensation insurance helps provide funds for medical care and missed wages if one of your employees gets hurt on the job. 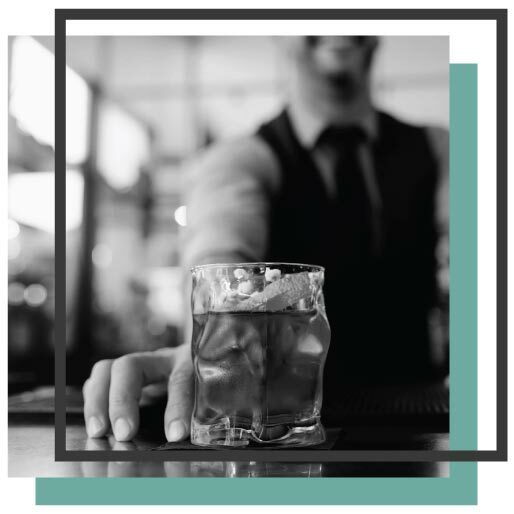 Most standard business policies do not include liquor liability insurance, but at Van Leer & Edwards Insurance Services we understand the special needs of nightclub and bar insurance. We have a deep understanding of the local regulations that govern this industry. We will make sure that your nightclub or bar insurance policy provides enough coverage in the case of an incident happening at your establishment. Restaurant insurance, nightclub insurance, and bar insurance options can vary widely from state to state. Make sure you speak with one of our insurance specialists so that we can build a restaurant or bar insurance policy that will match your business’ specific needs.